Increase the value of your property. 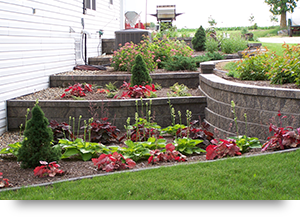 Get in touch with the professional landscapers at Select Landscapes of Iowa for outstanding landscaping services and products. 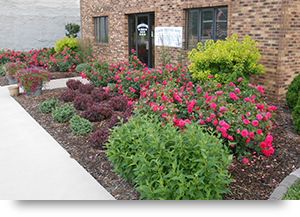 Our full service landscaping company in Ryan, IA revamps residential and commercial yards and gardens in the Eastern Iowa area. Let us make your garden and yard stand out. From designing and building sustainable landscapes to installing colorful home landscape plantings, we have your landscaping needs covered. Under the supervision of our owners, Bruce and Sabina Quint, we look forward to providing year-round beauty and color to your property. Here at Select Landscapes of Iowa, we offer professional landscaping services at competitive prices. To help you save more, our initial consultation is free. Call us at (563) 920-0094 today to schedule an appointment. For your convenience, full payment is due only upon project completion.